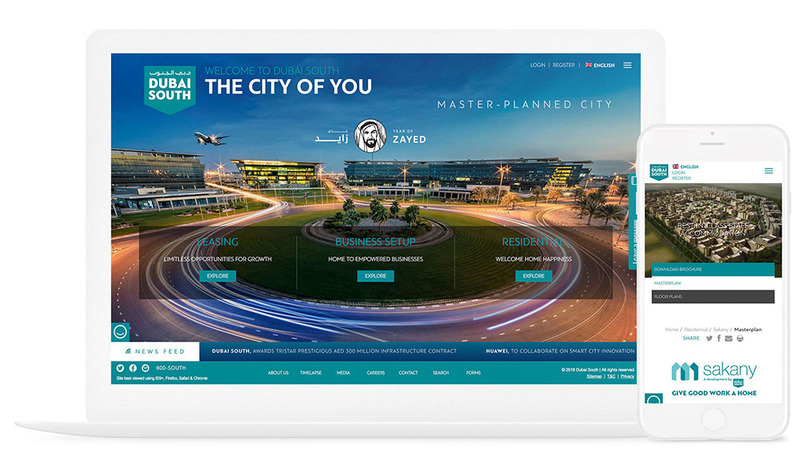 The vision was to create a web and mobile site that would match their aspirations for the city and take the user on a personalised digital experience, making it easy for new businesses to expand into the Middle East. The Dubai government created the Dubai World Central with the ambition to create a world class business, residential and tourism hub. 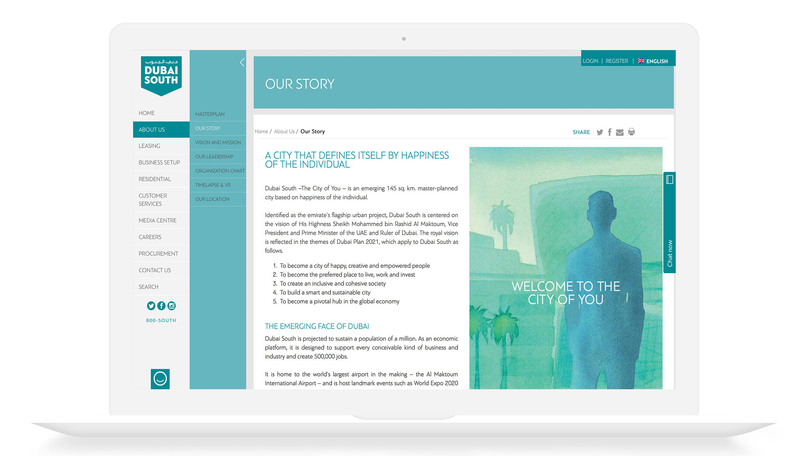 The vision was to create a web and mobile site that would match their aspirations for the city and take the user on a personalised digital experience. The ambition was to create a world class business, residential and tourism hub, to attract local and international investments. This website needed to allow visitors to find an array of local information. Businesses needed to be able to access agencies and authorities for entry into the Dubai market, including information on taxes and tariffs. Residents also required information on locality and education, as well as visa and residency requirements. Managing client expectations within the cultural and language differences was supported by our global team and we built this knowledge and experience into the finished product. This was achieved through ensuring constant communication and discussion with the client and the wide range of stakeholders involved. It involved The Virtual Forge promoting transparency throughout the project to anticipate risk and build trust. The technical challenge in this project was twofold. Security was of paramount importance as there would be a high level of user data and governmental details involved. Also the complexity of the desired product was challenging. The look and feel was of prime importance to the project and the site needed to include motion graphics and 360 filming, plus a time-lapse portal which allows the viewer to see the city being built before their eyes. This state of art website would have to be accessible from 24” screens to the latest smart phone with no disruption to the end result. The Virtual Forge utilised their gold partnership with SiteCore to develop a vanilla forum platform. SiteCore is the global leader in customer experience management, allowing businesses to own the experience they deliver to their customers and prospects. This produced an enterprise level content management system which included digital marketing integrated within. 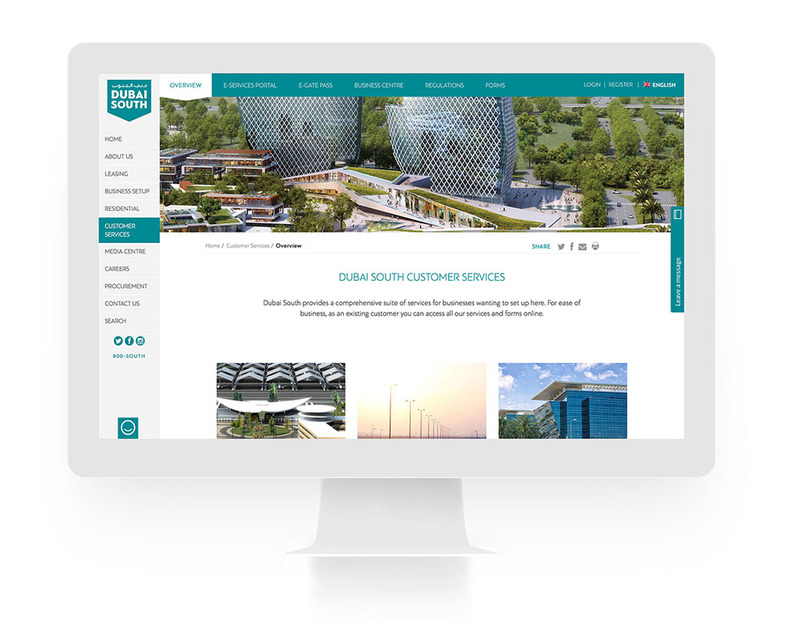 As well as a fully integrated and personalised experience for the end user, through the digital marketing system, the client received a full analytics programme to track and follow visitors’ pathways through the site. The Virtual Forge will also be providing training and maintenance packages for subsequent years to ensure a fully functional package. This was a highly bespoke project which required a wide range of resources to ensure it best fit the client’s requirements. It was also a highly complex project, and the greatest challenge would be to get stakeholder engagement from 5 major organisations and to integrate detailed multiple content pieces and interactive graphics, including the use of a VR 360 time lapse portal. A very strict methodology around the project delivery was used. Using a team of over 30 people from The Virtual Forge, timeframes and KPIs were put in place from the outset in order to develop full potential on this project. This team would include designers, developers, production teams, 3D and animation teams, business analysts, testers and marketers. This team would ensure daily updates to milestones and dependencies, attaching accountabilities and deadlines for delivery. The Virtual Forge team took an agile approach to realise the project, due to the technical complexity, variety of people and cultures involved and the need to change direction according to the needs of the Middle Eastern business. Absolute diligence was observed throughout. A test system was set up, both automatically and manually, to absolutely insure against vulnerabilities. Functional and penetration testing was carried out throughout the web building process to ensure absolute security. The relationship with the client was also of high importance, as their approval at each stage was critical, to ensure a clear design concept was achieved and worked towards. Towards the end of the project the agile scrum methodology was implemented to manage resources against the client’s needs as the final delivery targets were refined and updated.